We think a sandwich is perfect anytime, but in the summer a sandwich makes a neat solution for a quick dinner or a picnic lunch. On a hot evening who wants to cook? Opt instead for a cold sandwich with choice charcuterie and a bottle of rosé. 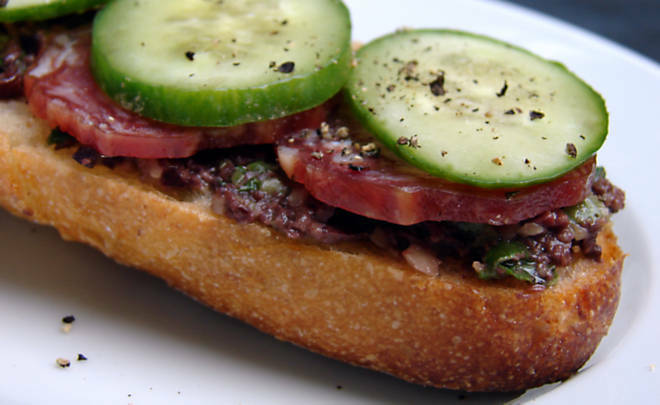 This peppery saucisson sec tartine with refreshing slices of cucumber makes an easy sandwich. This simple chicken salad sandwich, made with smoked chicken breast and chorizo, was a smash hit at an office tasting. And though we advocate the cold sandwich as a summer meal, it’s hard to resist the lure of this pulled duck sandwich. Or the lobster roll with bacon, which is undoubtedly the perfect summer sandwich. A spicy pressed chorizo sandwich with cheese and red peppers satisfies the heat seekers. 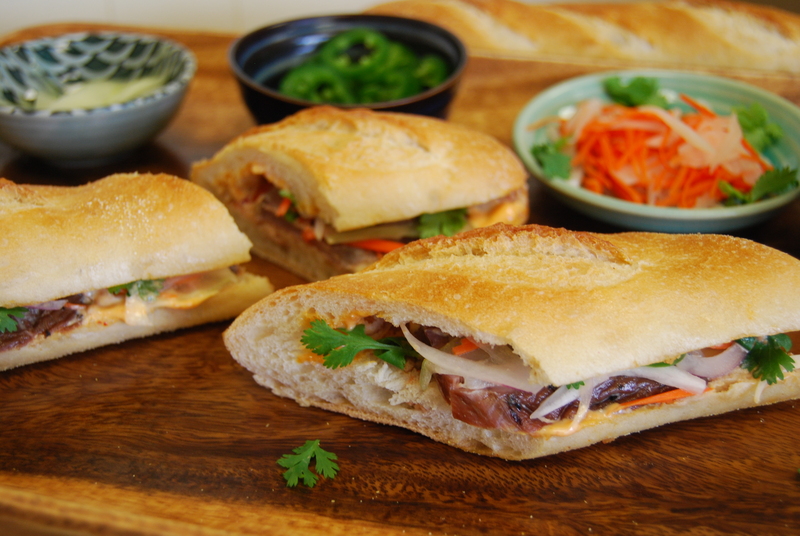 Our smoked duck breast works well in a banh mi sandwich, that perfect melding of French and Vietnamese cuisines. However you enjoy sandwiches this month, reflect on how this simple and portable meal has infinite varieties, from haute to humble. And please share your sandwich creations on social media. Tag @dartagnanfoods on Facebook, Instagram or Twitter.